Discover one of the most iconic cities in the U.S. with a charter bus or minibus from one of the most reliable bus rental companies in the nation. 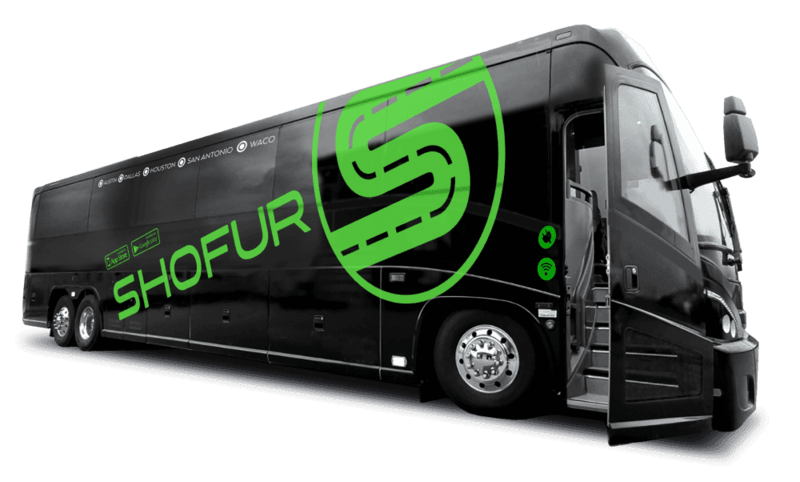 Whether you’re visiting New York for business or for fun, Shofur is your go-to resource for easy and fast bus reservations. With the largest selection of modern buses and unparalleled customer support, we can easily and efficiently prepare a full fleet of buses for your specific needs. No other bus reservation system has access to over 3,000 buses, 24/7 customer support, and the real-time technology that makes Shofur your best option for modern, professional, and efficient bus rentals. Your reservation agent is dedicated to providing the best experience possible, whether you’re booking for a corporate event, sports team, school trip, church group, wedding, or other private event. Booking is easy-- just call us at 1-800-436-8719 and your designated reservation agent will find the perfect bus for your specific request. Everyone dreams of visiting NYC, from shopping on Park Avenue to sharing a romantic moment on top of the Empire State Building and to being in the center of all the action on Times Square, Shofur can help make your trip an unforgettable experience. Traditional bus tours in NYC follow strict schedules and mix you with groups of other tourists you don’t know. You are often forced to see certain attractions, leaving you to miss out on any you want to visit. For tourists, public transportation can be confusing, but renting a private charter bus can alleviate any of those stresses. With Shofur, we ride on your time and schedule, giving you full freedom to enjoy your trip any way you want to. While you explore the city, ride like an upper east sider with deluxe features like reclining seats, a radio system, flat screen TVs, and more. Your New York experience should be just what you imagined, and we’ll make sure we meet every expectation set. Do a little window shopping and admire the grand architecture along this famous stretch of boulevard. This famous Art Deco style building offers views off of the 86th and 102nd floors along with exhibits and tours of the building. Impress clients with a professional ride from the John F. Kennedy International Airport to your next business conference, meeting, pitch, or other corporate events. Your experienced driver will ensure they arrive safely and on time; and with features like WiFi, power outlets, on-board restrooms, and more, they’ll never miss a moment of productivity. With a variety of exceptional charter buses to choose from, we’ll build you the perfect fleet tailored to your needs. Keep events organized with streamlined group transportation. If your event occurs across several venues or several days, a minibus rental serves as the perfect shuttle service for employees, staff, and clients. Because time is of the essence, your private bus rental will run on your time to ensure everyone stays on schedule -- with Shofur, you’re in complete control. As one of the largest convention centers in New York City, the Javits Center hosts large events like NY Comic Con. Groups and schools from all over New York State come to NYC for more than just the glitz and glamour. Whether you’re visiting the Met or paying respects at the National September 11 Memorial & Museum, we have the experience in booking efficient, reliable transportation for groups of all kind. Schools trust Shofur for their trips due to our professionalism and timeliness. Your driver will arrive 15 minutes early to make enough time for boarding and checking attendance. With restrooms on-board, you’ll have to make fewer stops on the way to ensure your day stays on schedule. Tour NYC’s top universities like Columbia or NYU in a personal minibus just for you and your students. Your driver will handle all the transportation logistics while you focus on making the big decision. As the largest art museum in the city, The Met welcomes millions of visitors every year with its extensive collection. This permanent memorial is a major attraction in the city is dedicated to the community and rescue workers who were affected by September 11th. Yankees or Red Sox? We won’t judge. Whether you’re headed to Yankee Stadium for a face-off, or cheering on a local little league team, we’re here to make your experience even better with simplified transportation. Coaches, players, and fans love the spacious storage and legroom a private coach rental provides. Storage bins below the bus and above seats allow enough room for everyone’s luggage, sporting equipment, tailgating supplies, and more. Home to the New York Yankees baseball team and New York FC soccer team, Yankee Stadium attracts thousands upon thousands of visitors every year. Our 24/7 team is ready to answer your call at any time. We’ll help you find the best bus for your group at the right price. Call us at 1-800-436-8719 with any questions you may have, and you’ll receive an immediate, free quote. Thank you for your reliable service. We'll call you next time we need a bus. Last minute perfection. The service and the bus were just what we needed. As a last minute reservation we would have taken anything but the service deserves a great review. We used Shofur to book our tour for Daddy Yankee. The team at Shofur provided us with amazing services even care. wow! the fastest bus reservation ever. What is the average cost for renting a charter bus within Manhattan? ? The average cost to rent a bus in Manhattan would be $675.00 for up to 5 hours. However pricing is subject to change depending time and availability. How much to rent a bus from NYC to Boston round trip? ? Pricing starts at around $1,980.00 However pricing is dependent on the time frame and number of passengers.